Located at 30 Meeting Street, Cumberland, RI 02864 (Cadillac Mills). Open Mondays, 5:00p.m. for tickets; 5:30 p.m. for shopping. Thrift Shop open 4:30-6:30p.m. Brenda Pugsley, Certified Food Safety Manager at Lighthouse Community Food Pantry, helping a customer during Thanksgiving Distribution, 2016. 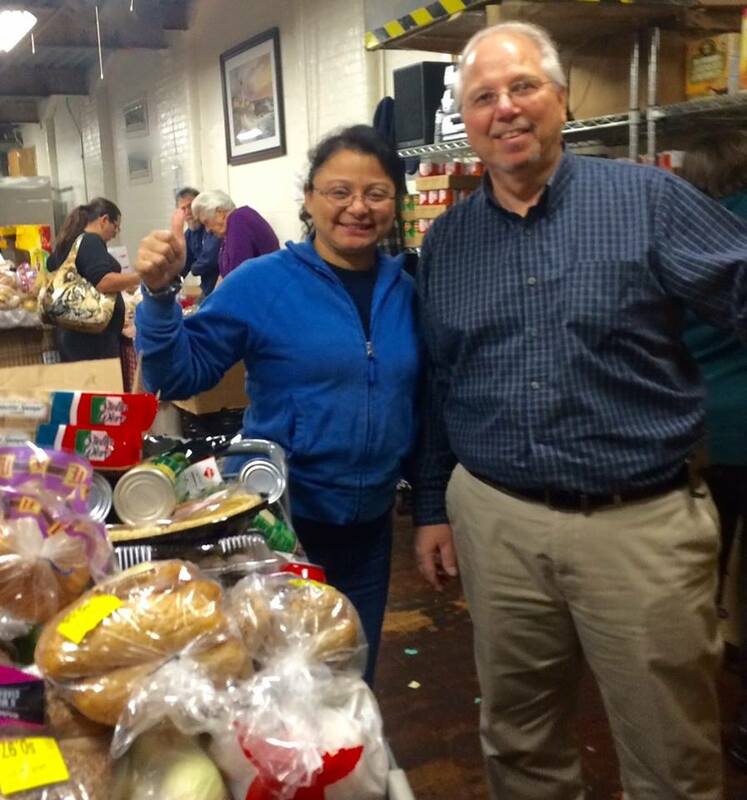 Pastor John Feragne, Director of the Food Pantry, with a Food Pantry volunteer during the Thanksgiving season. The Food Pantry is blessed to have a wonderful group of volunteers who assist each week in the organization and distribution of groceries to our Clients. If you are interested in becoming involved with the Food Pantry ministry, please contact Pastor John Feragne at 401-729-1603. 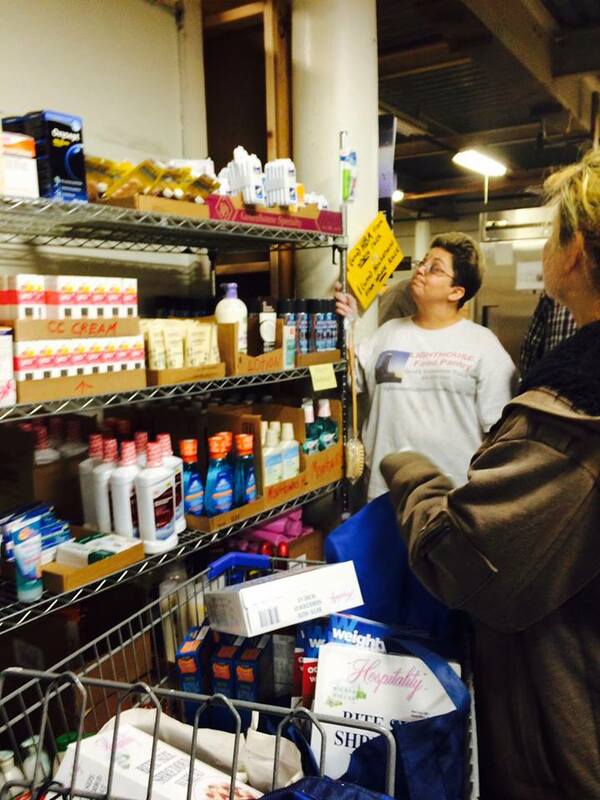 The Food Pantry partners with several local grocery distributors. Please contact us if you are interested in assisting the Food Pantry through food or other donations.